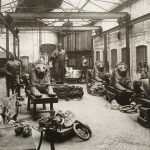 Rook Lane Arts Trust has been successful in securing significant funding from the Heritage Lottery Fund, allowing work to start this autumn on Casting the World: The Story of J.W. Singer & Sons, Frome. The project will take place next year, and mark the bicentenary of the birth of John Webb Singer in 1819, founder of J.W. 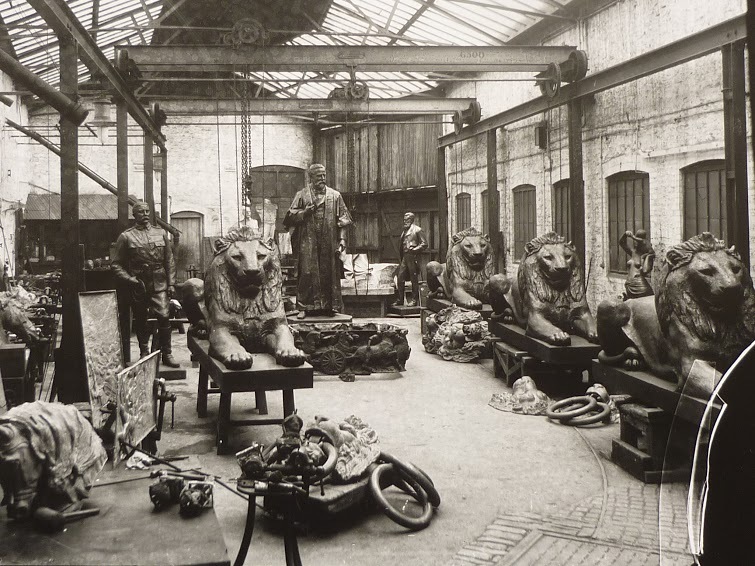 Singer & Sons Art Metal Works, which at its height employed as many as 700 people in the town and cast statues and sculptures which can be found across the country and around the world. The project will have access to the Singers’ archive of glass plate negatives held by Frome Museum, and will shine a light on this collection which is of national importance. 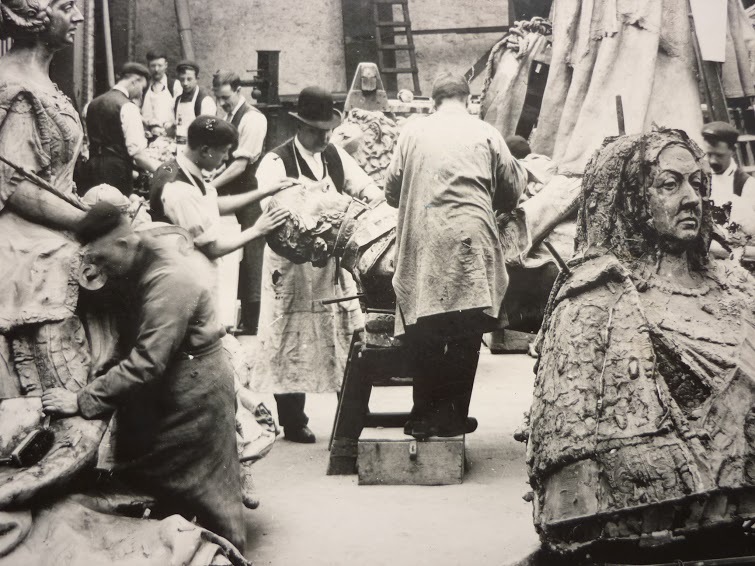 These remarkable images show the craftsmen and apprentices involved in the highly skilled casting work that took place in the heart of Frome – skill that attracted the most famous sculptors of the day to choose Singers in Frome as the place to get their work cast. 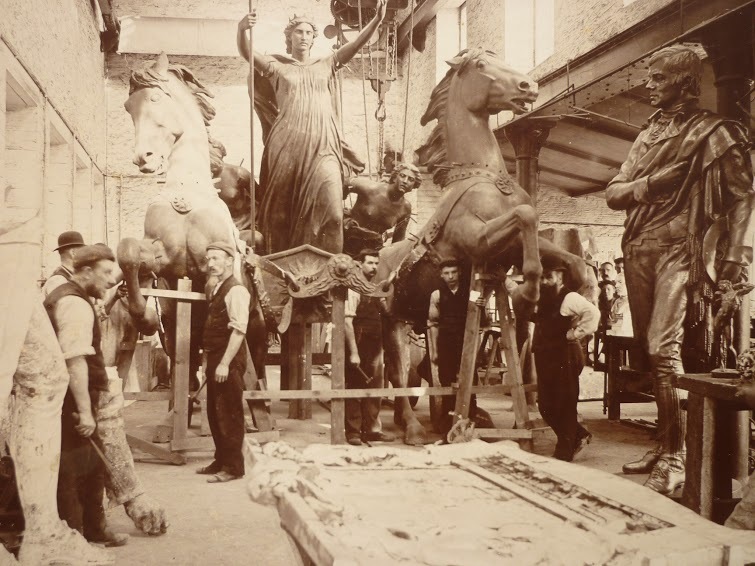 Works cast at Singers in Frome include many of our most iconic public statues, war memorials and civic works, from Boudica on the Thames Embankment in London, the friezes at the Scottish National War Memorial at Edinburgh Castle to the figure of Justice that crowns the Old Bailey. 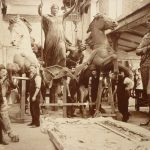 The people of Frome would give these immense statues a send off by cheering them on their way through Frome town centre as they were pulled by horse and cart from the Singers’ works at Waterloo to the railway station. The funding from the Heritage Lottery Fund will allow Rook Lane Arts to work with local organisations and the wider community to interpret and explain the history of Singers’ foundry, which grew from humble beginnings casting brass candlesticks for local churches from their first shop at 25 Market Place, now the Frome Festival office, to being recognised as one of the most prestigious foundries in the world. 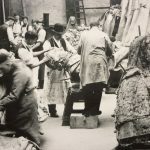 Casting the World will bring this unique and significant part of Frome’s rich history and cultural heritage to life for Frome audiences through exhibitions at Rook Lane Chapel and Frome Museum, as well as activities and community celebration events throughout 2019, particularly the Frome Festival and a Home in Frome carnival entry and their 2019 Lantern Parade, whose themes will be JW Singer & Sons. The project will also be accompanied by an education programme devised with Frome Learning Partnership and a publication supported by the Frome Society for Local Study. Casting the World: The Story of J.W. Singer & Sons, Frome will be delivered in partnership with Frome Museum, the Frome Society for Local Study, Frome Festival, Frome Town Council, Black Swan Arts and Home in Frome, and supported by an education programme devised with Frome Learning Partnership schools. Funded by Heritage Lottery Fund . Supported by Frome Town Council, Frome Heritage Museum, Frome Society for Local Study and Johnson Controls.